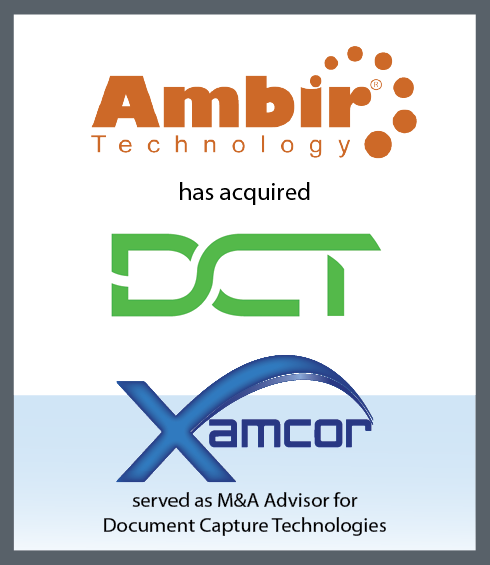 News Archives - Page 2 of 31 - Xamcor, Inc.
Is Amazon setting a new Capture Paradigm? Amazon Textract’s text extraction API enables processing documents for $1.50 per 1,000 pages. Is this a game-changer for Capture and ECM? Amazon Textract announced a service that automatically extracts text and data from scanned documents. Amazon Textract goes beyond simple optical character recognition (OCR) to also identify the contents of fields in forms and information stored in tables. Amazon Textract’s pre-trained machine learning models eliminate the need to write code for data extraction, because they have already been trained on tens of millions of documents from virtually every industry, including invoices, receipts, contracts, tax documents, sales orders, enrollment forms, benefit applications, insurance claims, policy documents and many more. You no longer need to maintain code for every document or form you might receive or worry about how page layouts change over time. Amazon Textract’s text extraction API enables you to process documents for $1.50 per 1,000 pages. Whether you process a few hundred documents a year or millions, Amazon Textract provides OCR and structured data extraction (forms and tables) at very low cost, and you only pay for what you use. There are no upfront commitments or long-term contracts. Kofax today announced it entered into a definitive agreement to acquire Nuance Document Imaging (NDI), a division of Nuance Communications, Inc. (NASDAQ: NUAN). NDI provides software to help organizations optimize their information-based capture and print processes from being labor intensive, error prone and costly, into becoming highly efficient, automated and secure. The company’s products assist organizations in complying with information security policies and regulations, reducing risk and ensuring employees have complete control over documents and information. Nuance’s cross-platform compatibility provides seamless deployment across multi-function printers (MFPs), printers, desktops and mobile devices. Nuance solutions deliver a consistent, familiar and intuitive user-experience for more efficient and natural interactions with technologies used to create, capture, print and process documents. NDI is the recognized leader in worldwide device and print management. More than 6 million knowledge workers use NDI’s Capture and Workflow solutions. The company has more than 100,000 active deployments of its Print Management solutions. 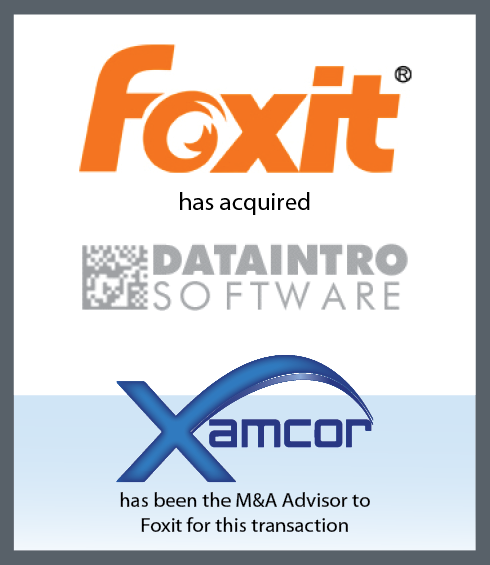 Through today’s acquisition, Kofax becomes the global leader in Capture and Print Management. This entry was posted in News on November 12, 2018 by admin. DocuWare announced today that, effective January 1, 2019, company presidents Jürgen Biffar and Thomas Schneck will transition their leadership positions to Dr. Michael Berger, currently the company’s Chief Technology Officer, and Max Ertl, currently the company’s Chief Revenue Officer. 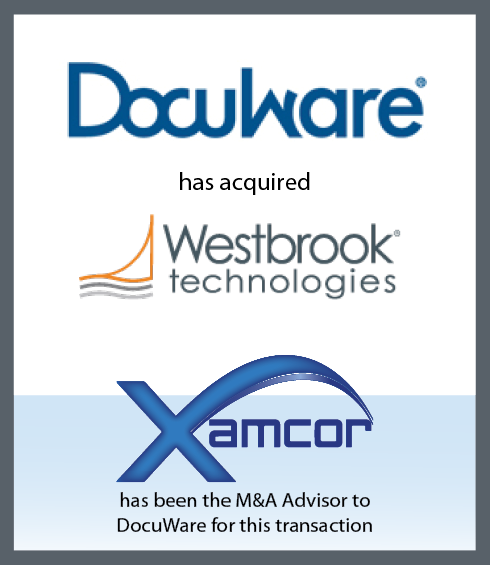 Founded in Germering, Germany in 1988, both presidents have steered DocuWare towards its current success over the past 30 years. Jürgen Biffar, President is based in Germany and oversees finance, product and marketing, while Thomas Schneck, President is based in the U.S. and is responsible for sales. Their dedication to the customers and enthusiasm for the technology have driven an ambitious product roadmap and growth plan. Following his promotion to Chief Revenue Officer in January 2018, Ertl continued to demonstrate unique leadership qualities bringing his Regional Sales Director team to new heights and expanding the network of authorized DocuWare partners. The 54-year-old played a decisive role in the company’s ability to increase its worldwide revenue from € 6.3 million in 2001 to approximately € 44 million in 2017. Max Ertl will assume global responsibility for sales and marketing. Max Ertl and Michael Berger will assume the roles of co-presidents on Jan 1, 2019. Mr. Biffar and Mr. Schneck will relinquish all day-to-day management responsibilities at this time and remain as strategic advisors to the company’s leadership team. This entry was posted in News on October 23, 2018 by admin. As part of its vision to modernize companies’ Systems of Agreement (SofA), DocuSign Inc. (Nasdaq:DOCU) today announced that it has signed a definitive agreement to acquire SpringCM, a leading cloud-based document generation and contract lifecycle management software company based in Chicago. This entry was posted in News on August 1, 2018 by admin. Nintex is pleased to announce it has acquired Promapp, a business process management software company which provides partners and customers new tools to better optimize business processes through a market leading visual process mapping solution. Promapp will help Nintex customers more effectively automate, orchestrate and optimize business processes across any organization from the back to the front-office, easily connecting people and integrating with the world’s leading business ecosystems and apps. Promapp has become a leading business process management software company by helping more than 500 public and private sector organizations worldwide successfully map and manage their processes realizing process improvements through intuitive, powerful tools used by teams every day. Promapp’s cloud-based software makes it easy to create, navigate, share, and change business processes, continuously improving areas like risk management, quality assurance and business continuity. KYOCERA Document Solutions America, Inc. today announced that effective September 1, 2018, Oscar Sanchez will become its President & Chief Executive Officer. Mr. Sanchez will be transitioning from his current position as Executive Vice President of KYOCERA Document Solutions Europe. Current KYOCERA Document Solutions America President Yukio Ikeda will remain in the U.S., continuing in an executive role. Oscar Sanchez earned an International MBA in Marketing at the Instituto de Empresa during which he spent the final semester studying at the UCLA Anderson School of Management. He started at Kyocera in 1996 and by 2002 had risen to General Manager of KYOCERA Document Solutions Spain, delivering the highest revenue in the company’s history and increasing profits over 1,000%. Mr. Sanchez then took on the additional responsibilities for Business Development throughout Europe, eventually relocating to the Netherlands to head both the Corporate Sales Division and Marketing Division as Executive Vice President of KYOCERA Document Solutions Europe. 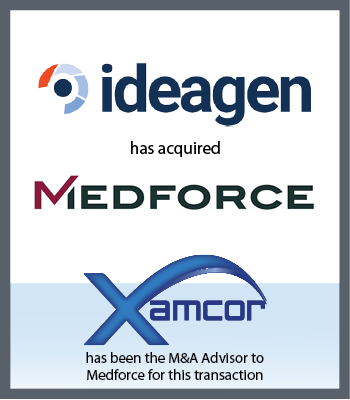 In the last 2½ years, Mr. Ikeda presided over major advancements, most notably the acquisition of DataBank IMX, North America’s leading end-to-end business process solutions provider. Ikeda invested heavily in support of the company’s independent dealer partners, rolling out the industry’s most advanced dealer portal, and dramatically increasing dealer adoption of KYOCERA Fleet Services, the company’s remote monitoring service. Usage in the U.S. has outpaced the rest of the world by a wide margin. Mr. Sanchez understands that the road ahead is not fully paved. The Americas represent a number of rapidly expanding and rapidly changing markets, including the U.S., the world’s biggest market. Success in the years ahead will only result from further accelerating the pace of innovation. 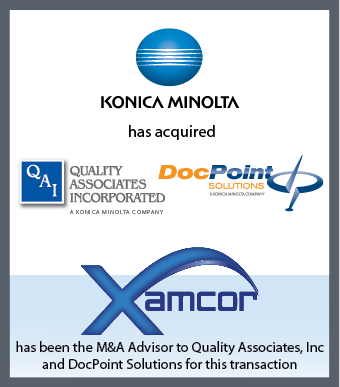 KYOCERA expanding their service offering with the acquisition of a proven specialist in data management. KYOCERA has completed the purchase of Alos Solution, one of the leading system providers of capture and Enterprise Content Management solutions(ECM) in German-speaking countries. Alos possess over 100 employees based in Germany and Switzerland, providing solutions to several thousand customers across the globe. Alos has more than 60 years of experience working with clients such as Kraft, BP, AT&T and Unilever. By capitalising on Alos’ key strengths of providing intelligent data acquisition solutions through automated workflows with legally compliant archiving processes, KYOCERA hopes to gain synergies from the investment alongside broader customer access. The company will continue on an independent basis with a three-year integration process planned, reporting directly to KYOCERA Document Solutions Deutschland. 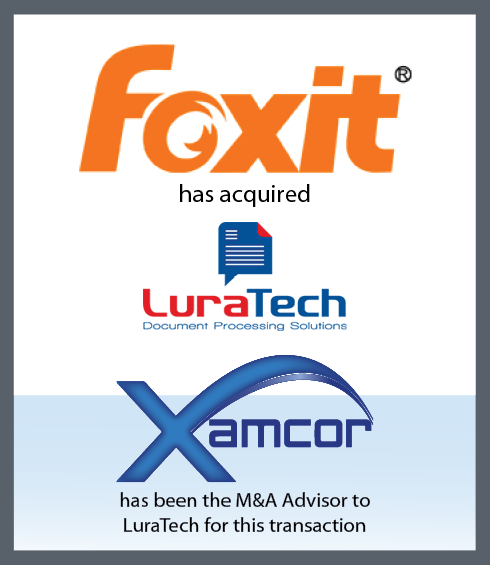 The acquisition is yet the latest step in KYOCERA’s development in the realm of total document management, a key growth area for the company. This entry was posted in News on July 5, 2018 by admin.